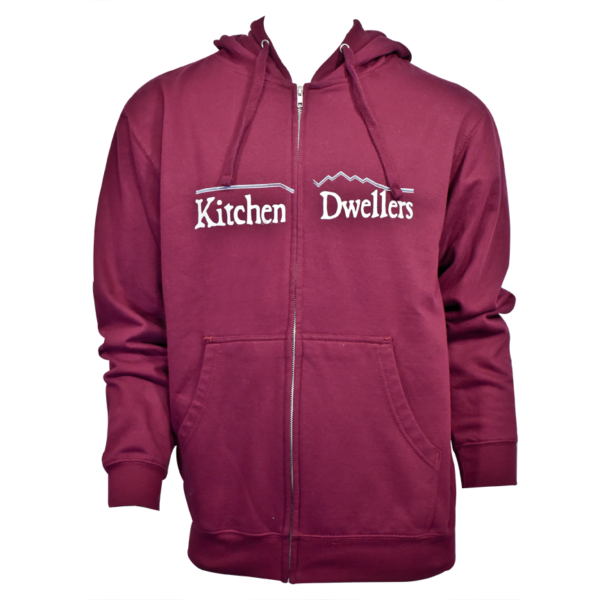 High quality french terry midweight zip up maroon hoodie with dyed-to-match drawstrings, with Kitchen Dwellers linear mountain design screenprinted across the front. 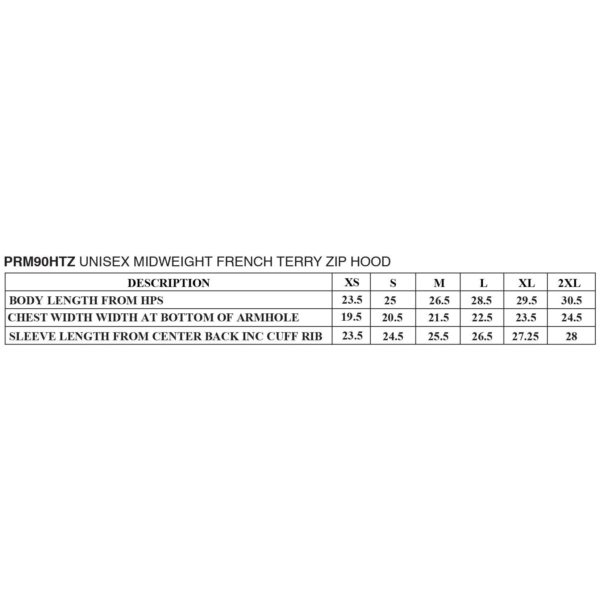 Hoodie has special features including thumbholes and a media pocket. See size chart in additional photos.